The engine and transmission are from the AMT kit. Tom added a resin carb, distributor, and valve covers from Fred's Resin Workshop, plug wires, and an overflow tank. 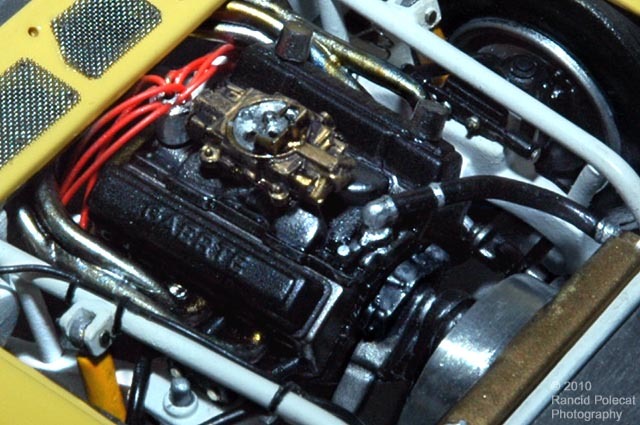 He reconfigured a set of headers and exhaust pipes are from a Revell ASA kit to match the Yee/Anderson car. All the frame bars in the engine bay are scratchbuilt.